Hitch (Sigfried) was born in Alaska but by the age of 6 was shuttling back and forth between his birthplace and Seattle which was where he chose to make his home after graduating from the UW in Economics. Hitch has had many jobs but his professional career was in Software Development as a developer and more recently a manager of other developers. Hitch has some 20 years of experience in the field and has all told made a lot of software for a lot of people over the years. Hitch’s great personal passion is for playing games. Since a very early age when his father taught him checkers and chess, Hitch has loved games of all sorts but has a special passion for role playing adventure games like Dungeons and Dragons as well as strategy war games of all sorts. Hitch is also known for his passion for politics, culture, religion, movies and love of entertaining others. He’s been a podcaster, stage actor, storyteller, writer, and game designer. On his personal blog, you can find posts on a wide range of topics. Trail (Anne) was born in Illinois but it wasn’t very long before she moved with her family to Seattle, where she has lived ever since. Also a graduate of the UW, Trail holds a degree in Computer & Software Systems. Trail has spent most of her professional career as a website developer. Trail left the rat race some years back and has worked as a contractor and independently for friends in creating websites. She even took a side job selling vintage table-top games on eBay. 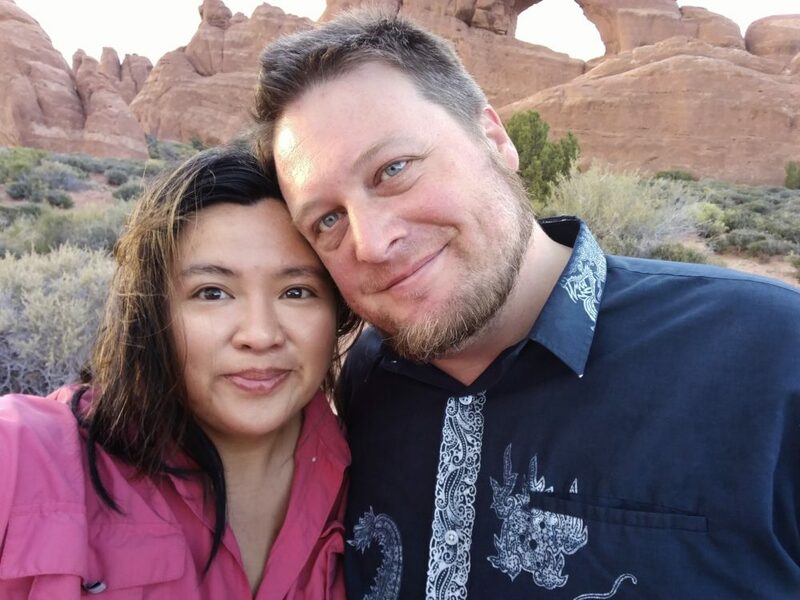 Trail has wide-ranging interests and is accomplished at cooking, sewing, photography, graphic design, computer hardware, gardening, knitting, podcasting, gaming, and a great many other skills and crafts. Current passions include photography and travel writing. Trail is eager to see all that America has to offer in its natural glory and splendor. Trail does most of the travel planning, navigation and logistics and maintains the Trail and Hitch website and blog. 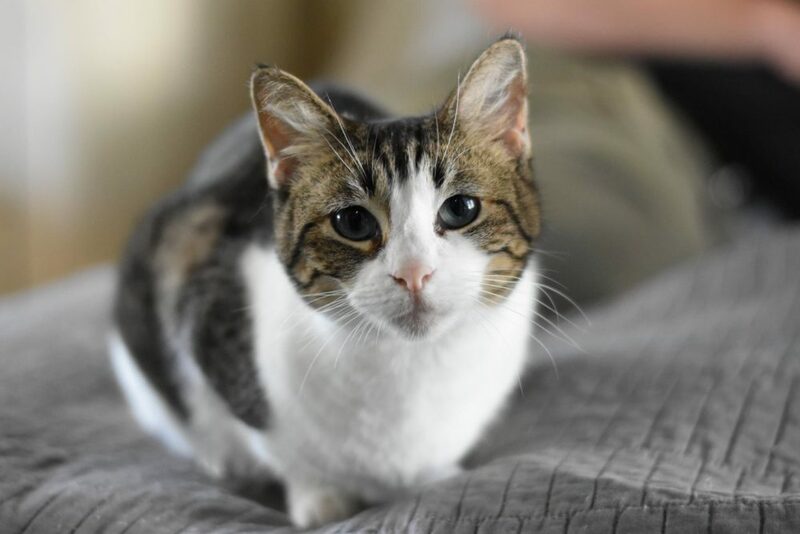 Kia is a tiny American shorthair tabby-calico with incomparably soft fur and sharp claws Kia likes to patrol for shadow creatures, ghosts, and other unseen apparitions when not sleeping or eating. She feels her brother is over excitable and altogether undignified. Kia is happy to see America so long as it doesn’t overly interfere with naptime. 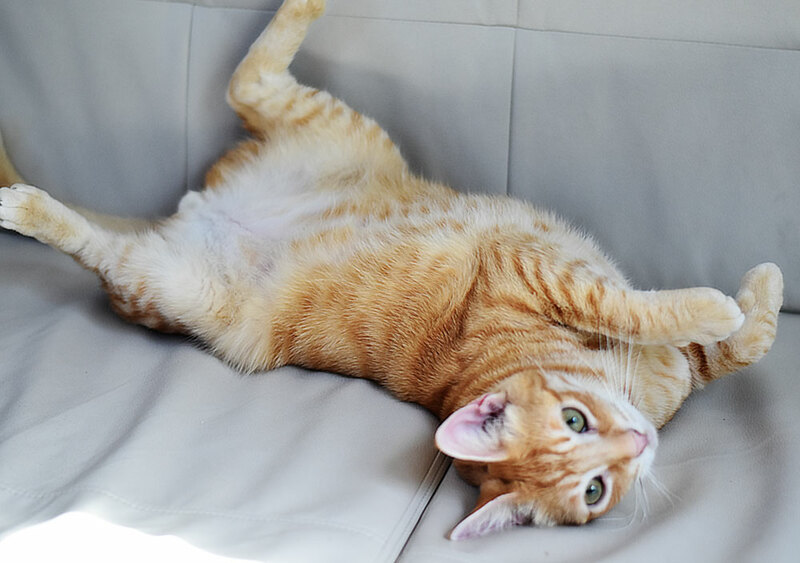 Kekovar is an American shorthair orange tabby and bigger than his sister Kia. Kekovar loves to keep Hitch from working too hard by providing frequent petting breaks and opportunities to clean the cat box. Kekovar feels America is far too large and scary a place but is looking forward to viewing its many birds from the other side of a securely closed window. I visited an RV shop today and they told me that my 2015 Toyota Highlander XLE cannot actually two 5,000 lbs because it didn’t come with the manufacturers tow package. I bought this SUV because I eventually wanted to tow a trailer. The guy said it cannot be added after market – does this sound accurate in your experience? I bought the SUV used 5 months ago and got a good deal, but now it looks like I need to replace it. Any advice would be appreciated! They are correct that if it doesn’t have the tow package, it can’t handle the high range towing capacity. You need a hitch reciever that is welded securely to the frame, a brake controller, and often heavier suspension. I can’t say I’m too familiar with aftermarket towing packages. I know you can add a tow package aftermarket. It won’t be the same one the vehicle manufacturer installs so it won’t be exactly the same capacity. As above, the key factors are the hitch reciever, brake controller and suspension upgrade. Sometimes tow packages include a transmission with more gears to increase torque. That’s something that’s harder to install aftermarket. My wife and I just purchased a 2019 flying cloud. We have two cats, Jamie and Nadia. We expect to travel the country and don’t want to leave them behind. I’m interested to hear what you do about the dreaded litter box. I’m thinking about retrofitting the bed box to accommodate it close to the exterior storage hatch. My apologies if you have covered this in the past. We are new to your posts. We kept with it the 2.5 years we were on the road and were happy with it. We had the litter at the front of the trailer rather than under the bed so it was easy to clean up quickly at night. During the day we’d often move it under the table or anywhere out of the way. We used the “under-bed” as the cat bed area. That way they could hide there if strangers were in the trailer. We put their cat carriers on the front window sill and that was their favorite place to hang out. Kia and Kekovar send their regards and wish your kitties safe journeys! I’m not a mechanical expert by any means, so when I did my Truck research for our own purchase, I had to rely on doing using the internet to read the opinions of others. I looked at various truck reviews for the three major US brands and Toyota. The consensus seemed to be that all the American brands had really solid reputations on their modern truck lines. Consumer reports and auto magazines gave them all pretty stellar marks in the last 10 years. Different years show a small difference in which is ranked at the top but basically, they are all very well respected. The Tundra also gets good marks, but tends to be seen as a small step down from Ford, Dodge, and Chevy. Where they got 95 / 100 marks, the Toyotas would get 85 / 100. Part of the issue is there is a long-standing tariff on imported trucks which limits competition in the US market and foreign truck makers just don’t have as much incentive to compete in the market. They also have to find ways to cut costs more to be competitive in price. It’s called the “chicken-tax” because it originated as a retaliation to chicken tariffs in Germany. Every truck brand has its fans and you can find truck folks arguing why a dodge is best or a ford etc… Since that passion seems to be found among owners of all of them, I’d say they are all good. I have a Dodge, I really like it, but I didn’t set out only to look at Ram trucks, it was just the one I found at the right price and condition when I went to buy one used. We have had zero problems with ours so far. We have a Gas engine. A lot of folks who are die hard haulers like Deisel, but my reading on the subject convinced me that the differences were not significant with modern engines. Diesel engines may last a little longer overall, but they have a somewhat higher maintenance cost. Again, I ultimately just decided to get the Truck we found at the right price and with the right towing capacity rather than hold out on the specifics of the engine type. At the time, I might have preferred a Diesel, but in hindsight, I’m glad we got the Gas engine as its easier to fill it up and less hassle. It has had no problems with power for us when towing through mountain passes. I hope that helps some. Basically, there are a lot of good options and not many bad ones when it comes to mid-sized trucks. Laura and I are empty nesters that just discovered RVing a couple of years ago and bought a new to us Casita about a year ago. We camped 38 nights in 2016 and towed about 4,000 miles. I am not an aspiring RV entrepreneur, but I am enamored with RVing, the culture, and the lifestyle. I may try my hand at blogging at some point, but for now I am perfectly happy just exploring both literally and virtually everything RVing. Thank you for the kind words Dean. One think I have found with the other RVers we have talked to is they all seem to savor lives pleasures, both great and small. A lot of conversations revolve around all the great things to do and see in various parts of the country. It really is a unique community of people in RV parks. Not all the same of course, but there are many common bonds. We are about to follow in your foot steps with the Nomad life full timing in an Airstream. Thanks for sharing your adventures and purchase decisions you have taken a lot of the guess work out of the mix as we get started. When you get the chance please drop me a line as a dialogue on outfitting the trailer would be much appreciated. Congratulations! We are still amazed every day by how incredible the journey has been. We heard you on the RV entrepreneur podcast today, good show. Sounds like an adventure and best of luck to you. We’ve been on the road also for a little while now, and I see you have two cats with you also. constructive website feedback: do a search for ‘break’ and replace with ‘brake’ for the towing & truck posts, people might search for ‘brake controller’, etc. Hey!! This is Eddie Contini, and old buddy and fellow bandmate (Gross Weight) of your dad. I was commenting in FB about his beautiful photos, and he told me about your blog. So cool! !